The 4th of July is tomorrow here in America, and if you’re celebrating, you’re probably planning on shooting off some fireworks. Fireworks are great and all, but sometimes, unfortunately, they can lead to burns. Bummer, I know! Speaking of burns, fireworks aren’t the only things that are causing burns during the summer. You’ve got cookouts which means fire pits and hot grills, you’ve always got hot pans on the stove full of hot foods and liquids, then there’s hot water and sunburns to deal with too. Life has many ways for you and your little one’s to get a burn here and there. 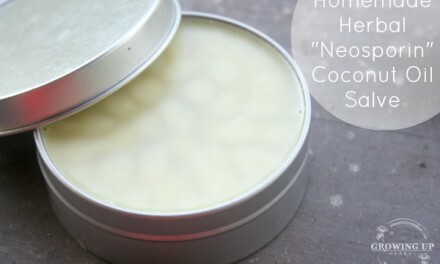 Today, I’m going to show you how to make a simple homemade burn cream that will help sooth your burn, relieve some of the pain,and heal it up as quickly as possible. The great thing is that you can use this cream anytime you get any kind of burn! 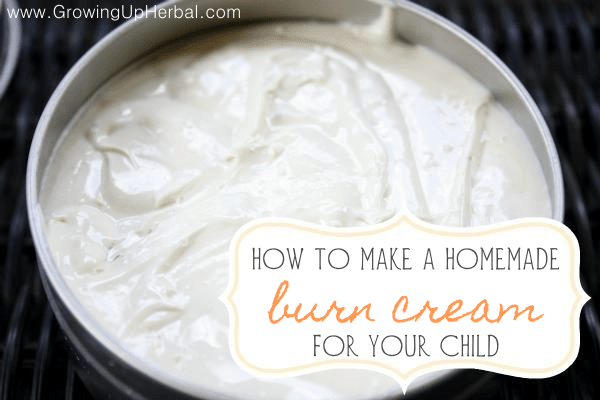 Like I said, this burn cream is simple and easy to make… and it’s not too expensive. Plus, you only need 6 little ingredients. If you don’t have time to order what you need online, you can always make a quick trip to your local health food store to pick up the ingredients below. 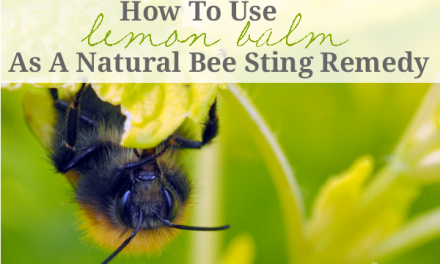 If for some reason you have trouble finding what you need – like comfrey, beeswax, and aloe – try this. Go to the tea section, and see if you can find comfrey tea. Some places carry it. Just open your tea bags and use the comfrey that way. If you’re having trouble finding beeswax, go to the home decor section and find a 100% pure beeswax candle that’s not been bleached, dyed, or scented. If you can’t find aloe juice in the grocery section, check the pharmacy section. A lot of times it will be there. First things first anytime you’re making any sort of herbal cream. 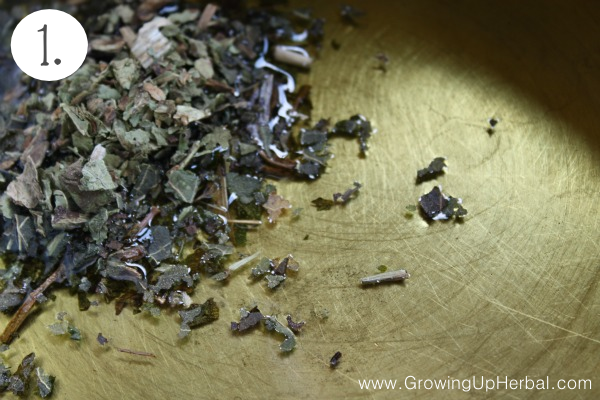 You need to infuse your oils with your herbs. There are several ways to infuse herbs into oil. 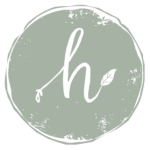 Just checkout the Using Herbs page if you’d rather try a different approach, but today I’m gonna tell you how to do it quickly. Simply put 1/4 cup of dried comfrey into a sauce pan and then add 2/3 cup of olive oil to it. Heat your oil/herb mix for 2-3 hours over low heat. It’s finished when it turns green and starts to smell like herbs instead of olive oil. Be sure not to get impatient and try to heat it any quicker or hotter than that. You want to infuse the herb properties into the oil and that takes some heat and a bit of time. You don’t want to cook your herbs. When your finished infusing your oil, take an old t-shirt and pour the herbs into it. The oil will pour through and the herbs will be caught in a bowl. Squeeze the extra oils out of the herbs and then compost them. Pour your reserved liquid back into your cleaned saucepan and set it back on your stove. Comfrey is used because it’s known to stimulate cell growth and knit tissues back together. Something that’s very beneficial when it comes to burns. Now that you’ve got your comfrey oil in your pan, you’ll need to add some beeswax to it in order to make a salve. Take .65 oz of beeswax and put it in your pan with your oil to melt over low heat. .65 ounces? What? Yeah, that’s an exact measurement if you’re the sort that likes to follow recipes. If you’re like me and you eye or guesstimate most things, here’s how to do it. 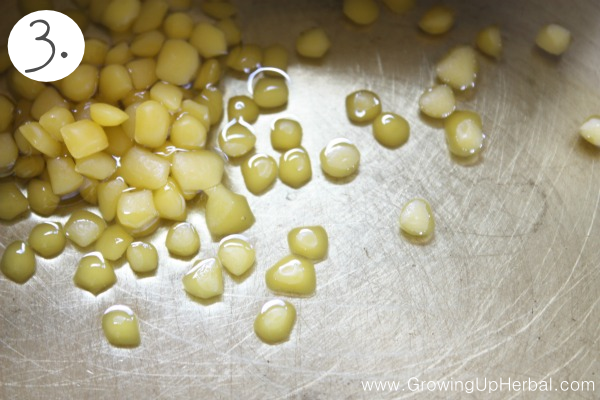 Take a small amount of beeswax (about 1 TBSP) and melt it in with your oil. Once it’s melted, take a spoon and dip it in your oil. Set it somewhere to cool for 5 minutes or so before checking it again. Did it harden up nicely or is it mush? If it’s mush you’ll need to add some more beeswax. If it’s hard, it’s good to go. You’re looking for something that’s the consistency of chapstick. Make sense? If you want to add in any vitamin e oil (helps reduce scarring and acts as an antioxidant to keep your product a touch more shelf stable), now is the time. I usually add in about a teaspoon in this recipe. 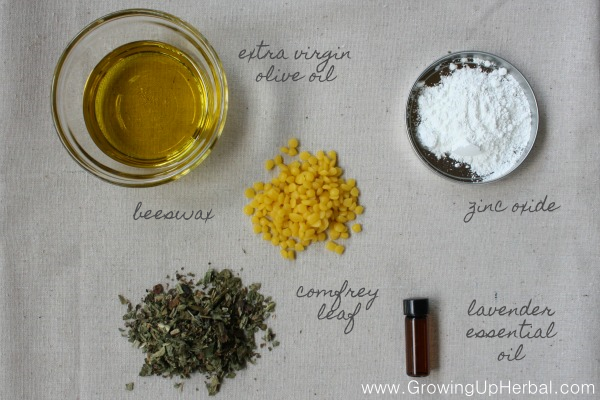 Mix well with your melted oil/wax combo. Okay. Now that you’ve got your comfrey oil mixed with your melted beeswax and you’ve tested it to see if it’s like chapstick when it cools, you’re ready to get started making your cream. Pour your mix into a blender of some sort. You can use a regular ole’ kitchen blender, a Vita-Mix, a magic bullet (my fave) or you can leave it in your pan and use a stick blender (my fave). Yes, I have two favorites! Let it set there to cool. As it cools the salve on the sides of your blender or pan will start to thicken up. Just scrap the sides with a spatula and mix it all up. This cooling part will take about 15-20 minutes depending upon how cool it is in your house. Once your salve has cooled to the point where it looks thick and creamy, you’re ready to make your cream. Take anywhere from 1/2 cup to 2/3 cup of room temperature aloe juice and slowly drizzle it into your thickening salve as you blend it. Let me say it again… turn your blender on and slowly pour your aloe juice into the blending salve. This forces the liquid and oil together creating your cream. You need to do it slowly because the liquid mixing with the oil will cause it to thicken and sometimes that can create an air pocket in your blender causing it to stop blending. It’s no big deal. Just stop your blender and mix your cream with a spatula, then start again. You may have to do that a few times, but eventually as you add more liquid, you’ll get a nice creamy consistency that will continue to blend. Your cream will turn a light greenish, yellow color. Be sure to blend it well. You want to make sure the aloe juice stays suspended in the oil. If you don’t blend it well enough, the juice will want to start to separate from your cream leaving you with a good cream that has some liquid in it. It’s not really a big deal. It doesn’t mean your cream is messed up. You just didn’t blend it long enough. 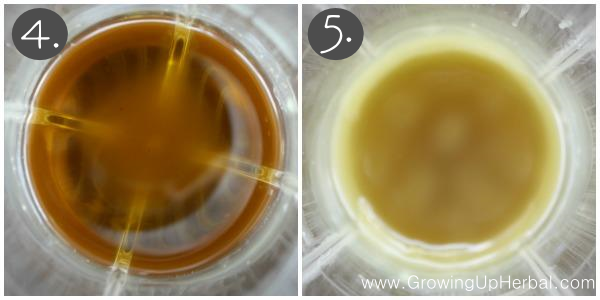 Once your liquid is totally blended into your oil, your cream should be a pale green color. Now you’re ready to add in some zinc oxide. Zinc has long been used as not only a skin protectant, but a skin healer as well. It’s included in many diaper rash creams as well as medical grade burn creams so it definitely doesn’t hurt to use it. Zinc is only to be used on first and second degree burns. Third degree burns need to be seen by a doctor immediately. I used 1 TBSP of non-nano zinc oxide powder. Blend your cream up again, and this time it will come out looking creamy and white instead of yellowish-green! I love scenting creams, but you definitely don’t have to. When making a burn cream, I like to use lavender essential oil to scent my cream. Either that or peppermint. The reason behind using lavender with burns can be found here – Lavender: Your Secret Weapon For Burns via BulkHerbStore.com. 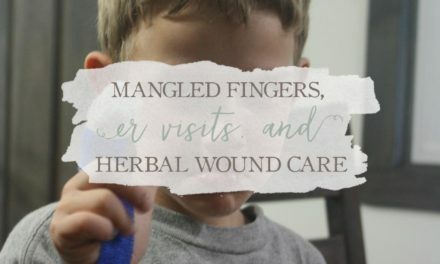 This post does a great job of explaining which chemicals found in lavender help with burns as well as giving a personal testimony on how it helped. When it comes to scenting your cream with lavender, a little goes a long way as lavender is a top note oil and you smell it very well. It’s kinda strong and distinct in my mind. Anyway, just put in 10-20 drops… starting small and working your way up. Blend your cream again to mix the essential oils in. Smell it and add more if you need it. Once you’re finished blending your cream and you’ve got everything just the way you want it, put your cream in a glass jar or a tin and label it with the name and date. That’s it! You’re finished. Just store your cream in a cool, dark spot… your medicine cabinet is great… and whip it out when you need it! Your best bet at using this cream for a burn is to cool the burned area with cool water first, pat it dry, then apply the cream directly to the burn. Enjoy, and have a Happy (and safe) 4th of July! 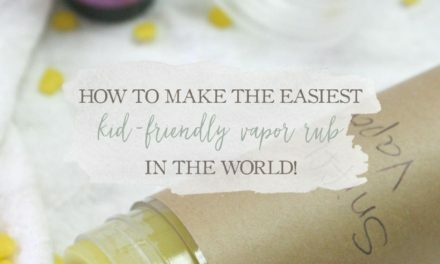 Have you had any experience treating burns on yourself or your kids? If so, how’d it go? 1. Do you have any tips on clean up? I have a stick blender and a bullet- but nervous there’s going to be an oily residue I can’t get off w/out heating it up to melt the wax (and being plastic that’s not an easy option). 2. Is it best to let the oil/beeswax mixture cool completely before mixing with the aloe. Would it be alright to put it in the freezer to help it harden quicker during this step? 3. Could I use filtered water if I don’t have aloe juice? Good for you Becca! Okay, here are the answers to your questions. 1. I have equipment that is only used for making my herbal products. Why? Because you’re right, wax and oil is difficult to get off of things. At first I didn’t have separate equipment, but overtime I’ve built up my stock (plus with running a skincare business, you have to keep things separate to avoid cross-contamination with foods). Either way, I clean them the same. I use LOTS of paper towels. Not eco friendly, but you don’t want to use rags to wipe out your pans and then try to wash your rags. Salves and creams can stop up your drains. Anyway, I wipe out my pans and blenders as best I can with paper towels, and toss those in the trash. Then I let things soak in HOT, soapy water. Once the water has cooled enough I try to wash them out. Then if it needs another wash, I’ll add it to the dishwasher. Hope that helps there. Even if you can’t get it ALL out… it won’t hurt you. Everything you’re putting in your cream “should” be eatable… right? It’s not like there will be “that” much beeswax left in your pan anyway. Wiping things out before it hardens will help. 2. You only want to let your salve mix (oil and beeswax) cool until it’s thickening. You don’t want to let it completely cool because you won’t be able to blend it up at that point since it will be hard. It has to be like thick goop. Then you’ll slowly add your liquid in while blending. And yes, you can put your pan in the fridge or freezer for a bit to speed up the process. Just keep scraping the sides of your pan with the spatula to mix the warm and cool parts together until it’s all nice and thick. Thick like the consistency of the cream you’d like even. I hope that describes it a bit better. 3. Yes, I think you can use water… just make sure it’s room temperature water. If it’s too cold it won’t mix with the oils well. The thing about using water is that you’ll have to keep your cream in your refrigerator because water in it will cause it to grow mold and bacteria faster. It will only be good 1-2 weeks out of the fridge. If you keep it in the fridge it will last 2-3 months. I’ve personally never used water, so I’m not absolutely sure, but it’s worth a try!! WOW- was not expecting such a quick response! 1. It wasn’t as hard to clean up as I was expecting- though the tip about paper towels was super helpful, and good to know it could clog up the drain- so i was able to avoid that mistake! 2/3. I ended up getting the aloe- especially b/c of the mold/bacteria point you made!! Though my “thickening salve” didn’t need much liquid to become creamy when I blended. I did a smaller recipe (in case i didn’t go as planned) so ended up with 3 oz oil 1 T beeswax and added less than 1 T of aloe. I also ended up using a whisk attachment on my hand blender. It’s definitely creamy- might use more beeswax next time to make it less runny but I think it turned out pretty great for my first time!! Thanks for inspiring me 🙂 and for the step by step!! Yay! I’m glad it worked out, and I’m glad it turned out alright. Your oil to beeswax may have been fine. Sometimes it’s runny when you first make it, but as it continues to cool it will firm up a bit more. I just make sure my oil/beeswax mix (the salve) sets up as hard as chapstick would be before whipping it into a cream… then I know I’ve got the right consistency. As for the amount of aloe. Anytime you start mixing a liquid into oil it will start to form a cream. The amount depends on what you want. Your cream may end up being more oily since there’s not much liquid in it, and it may not absorb very well… this is great for creams like diaper creams because you’re looking for a protective barrier… but it’s not so great for face creams or body butters. You want them to absorb. Typically, a true cream is equal amounts liquid and oil. So if you did 3 oz. of oil, you’d need to get as close to 3 oz. of aloe as possible. 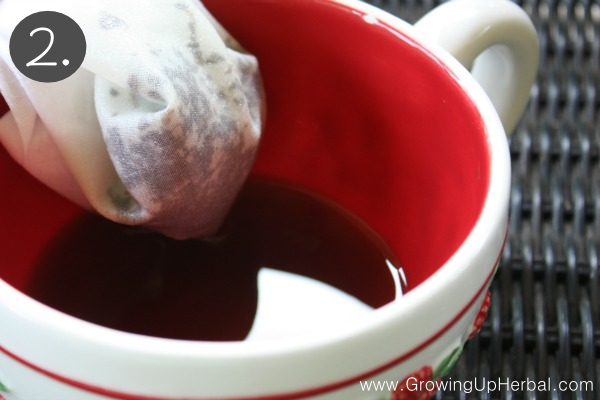 This would make your cream lighter and help it absorb easier. Over all, just doing it is the first step. Keep doing it because the more you do, the better you’ll get, and the more you’ll see what works for you and what doesn’t!! I woke up this morning and you were right!! After sitting overnight it’s not runny- more of a thick consistency 🙂 It makes sense about the oil to liquid ratio and the desired absorbancy… I guess I got nervous to add more liquid since it was already runny, but now I know it’s runny b/c it’s still setting/cooling. Hummm… you could probably whip it together now if both things are around the same temp. Just start with a small amount. If it doesn’t look like it’s going together, stop, heat your cream a bit, then do it again. You could try it and see if that worked. Let me know… I’m curious! Just to chime in here. I’ve been making infusions and salves for many years and I learned that distilled water is the best when herbal products. It does help prevent mold since it’s distilled. I have not had a problem, then again, my stuff never sits around that long. Absolutely! Thanks for sharing your experience Faith! Thank you so much for this post. How long will this be good to store? Will itspoil or lose its potency at some point? Thank you! If you store it properly and keep it clean, then it should be good for around 6 months if you use aloe as your liquid. If you use water, then it’s only going to last you around 1 month… longer if you keep it refrigerated. We have linked to this article on our site and we hope hope it brings a flood of new viewers to you. Thank you for the time and effort you put it to your site, we love it and plan to continue to share your work. Thanks again. Thank you so much! I’m loving your site too BTW! Such great info… thanks for sharing my posts! I can agree with most of what you have to say Darla, and I totally respect your education and experience as well as you kindly informing my readers and I of this information. This post was written some time ago so I will definitely update it with information on making and using this as freshly as possible and keeping leftovers refrigerated to extend its shelf-life. However, I’m not sure that I agree with your statement saying aloe juice is no different than water. I’m not saying I disagree either, it’s just that I came across some information a while back that made it sound like aloe juice is a much better choice than water. I’ll have to dig that up again and reread it to be sure. If that is true, I’ll definitely change this to an ointment or like I said earlier, stress the importance of using it fresh. And as far as oils trapping heat in, I’ve heard that this can be true if you don’t properly cool the burn first. I’ve never heard not to do it after you’ve cooled a burn. I’d love to know where you got that info as well. I definitely want to be using safe things for my family, and I’m open to learning more. Thanks for your comment! Hey I was wondering how much this recipe makes? It makes around 5-6 oz. I put mine in a 4 oz. tin, but I had a little bit left over. Hope that helps! Thank you for your response and e-mail. What I meant with the Aloe, is that it a bug food in the same way water is. It grows bacteria. Aloe is better than water in the way of its healing properties. Always use distilled water. One good way to help kill off bacteria is to heat and hold ALL of the water phase for 20 minutes. This would include aloe and the tea, ANYTHING that has or is water. Do not boil, but heat at about 70 c – 158 f. Then blend the two phases together. Both phases should be at close to equal temps. This will eliminate a good deal of bacteria, but you will still need to keep the remainder of the product in the refrigerator and use quickly. The most you should use of Aloe Juice is 1% of the entire recipe. So if you wanted to make 10 ounces of cream, 1% would equal 2.83 grams. What I forgot to tell you was this recipe landed on our cosmetics pages and we basically deconstructed it. It is not a bad cream it just needs tweaked and for best results, preserved. It only takes 0.01% of the total recipe. I have been looking at this for a while and I would like to make it. I see that you have a burn salve and a burn cream and I’m not sure which one would be better to use. Well you have to start by making the salve first then you turn the salve into the cream by adding aloe juice or even an herbal hydrosol. In my mind the cream is better than the salve alone for a few reasons. First off, it is lighter and spreads on easier which is important with burns. Secondly, it will absorb better than the salve. Salves tend to sit on the skin due to the wax in them and absorb slowly over a longer period of time. With a burn you change the bandage frequently at first so the cream seems like a better fit for that. Lastly, you get the extra benefits of the aloe or the hydrosol when using a cream and you don’t get that with a salve alone. Anyway, the salve is definitely good, but for burns a cream is what I’d use first. You could start out by making a larger amount of salve and only turning a small amount of it into a cream so it lasts you longer. Creams go bad after a while so it’s not a good idea to make a ton of cream for something specific like a burn since you’ll only be using it as needed. Does all this make sense?? Yes, thank you so much! I figured the cream would be better but wanted your input. Here’s what I do for immediate burns (usually kitchen ones) for grease or dry. Immediately run cold water over it for about 20 seconds. Then I put a mound of salt on it (only if it doesn’t have a open bluster). After term the burn starts to sting a little, about a minute or two, gently rub the salt in a circular motion like lotion. Then gently rub off the salt. And BAM! NO BLISTER AND ALMOST HEALED ALREADY! ALL MY FAMILY AND FRIENDS DO THUS NOW. Good luck all! Very interesting Paula. I wonder what it is about the salt that keeps the burn from blistering? I’m gonna have to look into this a bit more. Thanks for sharing. I have a fairly deep 2nd degree burn and I have been treating it with just antibiotic ointment for a little over a week and it is not healing and starting to look a bit infected. Going to the health food store tomorrow to get all of these ingredients. Can I still use it if the skin is broken around the burn? And will this help with the crazy itching too? It’s getting time for me to ditch traditional medication for everything instead of the few things that I generally use oils and herbs for. Hi, Brittany! Thanks for your comment. Unfortunately, I can’t really speak for what you should do for your burn, especially since I can’t see it so I’ll just throw some things out that I would do if it were me in this situation. First, you said it was “fairly deep.” Are you sure it’s not a 3rd-degree burn? This cream is only for 2nd-degree burns as 3rd-degree burns are more serious and require a different approach. If it is a 2nd-degree burn, what makes you think it’s infected? Infections in burns will result in red, hot, puffy-looking skin around the burn site and yellowish puss in the wound. Eventually, the redness spreads and a fever develops. If I were trying to prevent an infection from starting, I would wash and clean the burn site well BEFORE putting cream on it. I’d make a STRONG infusion of echinacea leaf and using cotton balls dipped in it directly over the burn, doing my best to clean it well. I’d do this every time I changed the bandage and put the cream on. And yes, you can use this on broken skin. I’d also change the bandage more often… maybe 3 times a day at first until it started to heal. Another thing I may do if I’m thinking it could be getting infected would be to use the burn cream 2 times a day and manuka honey for the 3rd bandage change. Honey is antibacterial and often used on burn units in hospitals to prevent burns from becoming infected. You have to remember that a burn is going to be a bit red and swollen. That’s a normal immune response to a break in the skin. Your body is trying to keep the site from getting infected, but you can use herbs to help your body as well. Herbs aren’t necessarily a “replacement” for modern medication. Instead, they support the body in healing itself. It’s like giving the body a bit of help when it needs it… and added boost. And my guess is that the itching is a sign of healing going on which is good. Infections tend to be more painful as opposed to itchy… at least as far as I know. Okay, so that’s what I’d do if it were me. Hope that helps you a bit! Let me know how it goes. I’d love to hear what you try and how your burn progresses. so the itching got really bad and the skin started getting really red and swollen so I ended up going to the doctor. Turns out, I’m allergic to neomycin- one of antibiotics in the antibiotic ointment. so the swelling and redness and itching were all an allergic reaction. once i stopped that and started using the homemade salve, it is almost completely healed. The doctor was great and recommended I use essential oils and herbs instead since I am allergic to traditional ointment! Thanks so much!! Thanks for letting me know, and I’m glad you got an answer to the problem. I have something similar to the magic bullet but am not understanding how you slowly add liquid using them? You’re right Kay. You can’t slowly add liquid with the magic bullet. You’ll have to stop and add liquid a little at a time and then blend again. Hope that helps, and sorry for the confusion. This looks like a great recipe! I don’t have zinc oxide, so could I add some 100% Vitamin E instead? If so, how much? weight of your product, but many people use anywhere from 1/4 to 1/2 teaspoon of vitmain e oil per 1 cup of carrier oil. Hope that helps to answer your question a bit more.